Citing the rise in C02 levels (essential for plant growth) and rising temperatures he said if we didn’t get global warming under control the world would falter. Too bad some of the world’s leading scientists don’t agree with him. One has even said Obama is “Dead wrong” on global warming. Ivar Giaever, Ph.D. won among the Nobel Prize winners for physics in 1973. In 2008, he was among several Nobel laureates to sign a letter endorsing then-Senator Barack Obama for president, saying then that “the country urgently needs a visionary leader who can ensure the future of our traditional strengths in science and technology and who can harness those strengths to address many of our greatest problems.” Climate change was listed among those problems. Since that endorsement, Dr. Giaever has expressed skepticism about climate change/global warming, telling a recent gathering (July 1) in Europe that Obama and others have it all wrong. Marc Morano of Climate Depot spoke with OneNewsNow about Giaever’s comments. More scientists are now beginning to change their tune on global warming. 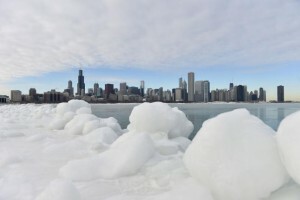 Scientists like Professor Dennis Rancourt and Dr. Caleb Rossiter, who is a climate statistician American University, say global warming alarmism is absurd. Professor Valentina Zharkova, of the University of Northumbria, presented his findings in the UK a few short weeks ago. According to his findings (which are backed up by other research) now that we understand solar cycles better it’s easy to see most of the climate change we see is owing to the activity of the distant sun. And they’ve been able to prove the sun is going to experience a decrease in activity of around 60 percent which will send temperatures on the earth plummeting. This is expected to last 10-12 years and hasn’t happened since the early 1700s.